Would Automotive Black Boxes Clarify Car Accident Lawsuits? GJEL » Archives » Would Automotive Black Boxes Clarify Car Accident Lawsuits? 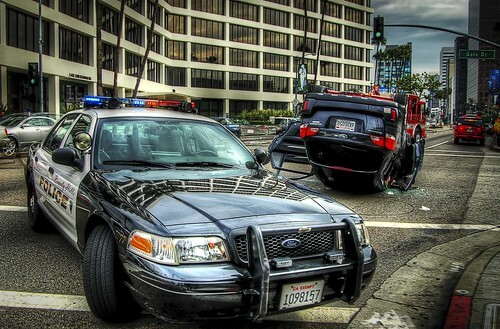 There are certain procedures that car accident attorneys use to learn the full story of a collision. An investigator typically speaks to the drivers involved and eye witnesses, accident reconstruction experts depict the scene and how the accident took place, and the attorneys then begin settlement negotiations. While this procedure has proven effective, new high-tech automotive “black boxes” could change auto accident lawsuits by providing a snap shot into the seconds before an accident. The black boxes are modeled after technology already present in airplanes, but is much more controversial on the automotive level, as opponents claim they are unreliable, and an unnecessary infringement of personal freedom. In a recent feature for Wired Magazine’s Autopia blog, Keith Barry frames the discussion of automotive black boxes with the example of a car accident that killed two teenagers in suburban Florida 9 years ago. Edwin Matos was convicted on two counts of manslaughter after his Pontiac Firebird Firehawk collided with a car backing out of a driveway. Using black box evidence, police were able to determine that Matos was driving 114 miles per hour through the neighborhood. Following an appeal attempt, the Florida Supreme Court upheld the conviction, due partially to the fact that Florida, like 36 states, has no statute banning black box recorder technology. I was surprised to hear that many auto companies have been installing automotive black boxes in vehicles for years. This is so common, in fact, that the National Highway Traffic Safety Administration stipulated in 2006 that automakers must tell consumers about the devices. And this fall, the NHTSA will consider whether a proposal to “expand the future utility” of black box data. This is a significant change that would likely have an impact on how information is collected during car accident lawsuits. Of course, like so many technologies, automotive black boxes should not be adopted until all sides agree that the technology is beyond repute. But so far, despite what the insurance companies and Matos’ attorney say, it appears that black boxes are reliable. So as long as the NHTSA testing phase goes well, I’d expect that automotive black boxes would have a positive impact on clarifying car accident lawsuits and improving street safety.